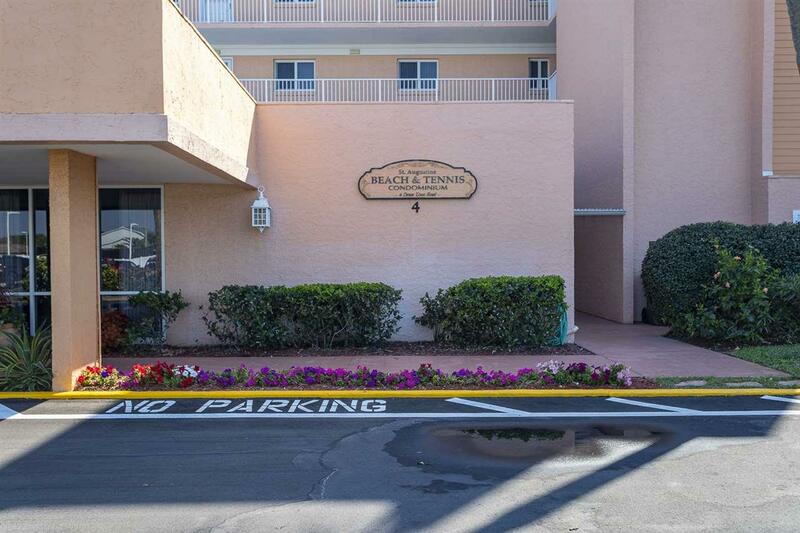 GROUND floor, private condo in a great location! 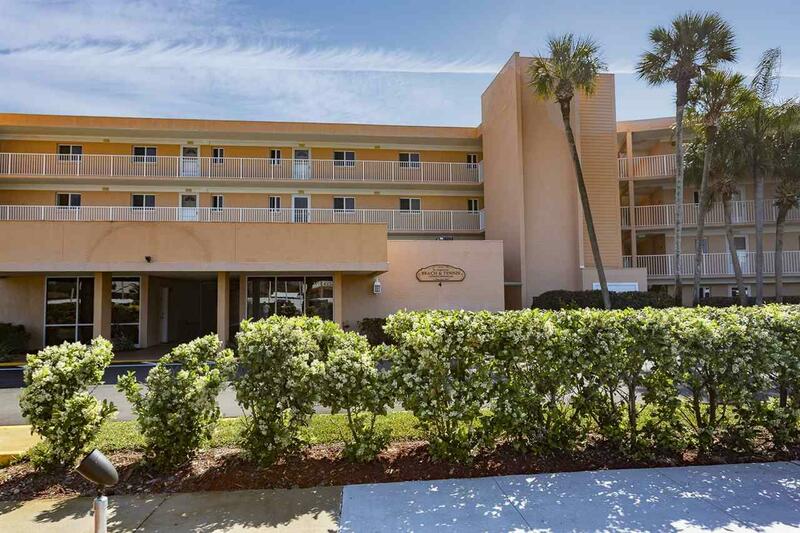 2 Bedroom, 2 bath unit with plenty of storage for all your beach items. 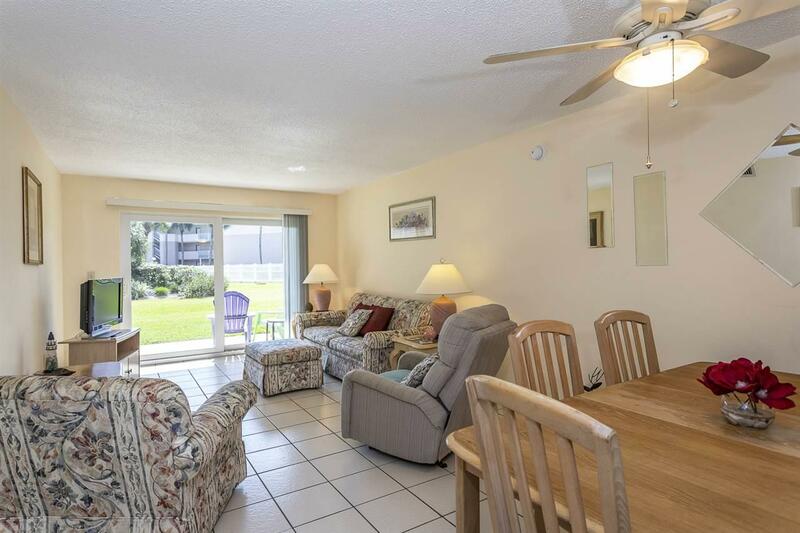 Large Patio has a private view of beautiful landscaped grounds and only a short stroll to the clubhouse, 2 pools, and private beach access. 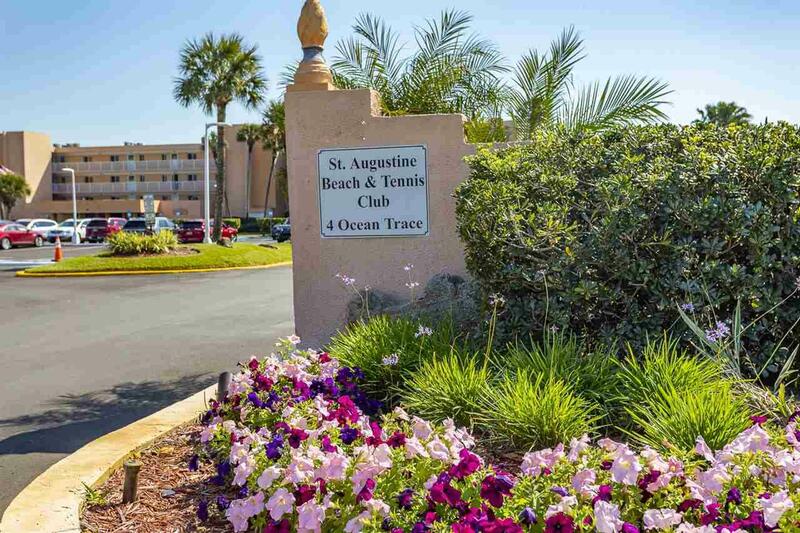 Beach and Tennis condos are located in the heart of all you want to enjoy in St. Augustine: beach, dining, restaurants, shopping, attractions and more! Condo is fully furnished and ready to be used as a 2nd home, full time home, or as an investment. Seller is motivated, so come see all this complex has to offer.